Many in the Body of Christ have the sense that the world economy is on the verge of a major economic crisis or even a financial catastrophe. Debt levels are enormous and unpayable, banks hold upwards of $1 quadrillion in derivatives, central banks are printing money on an unprecedented scale, negative interest rates are the new normal, and yet the real economy is barely growing. Does this monetary madness have any relation to end times prophecy? How will this financial insanity come to an end, and when? 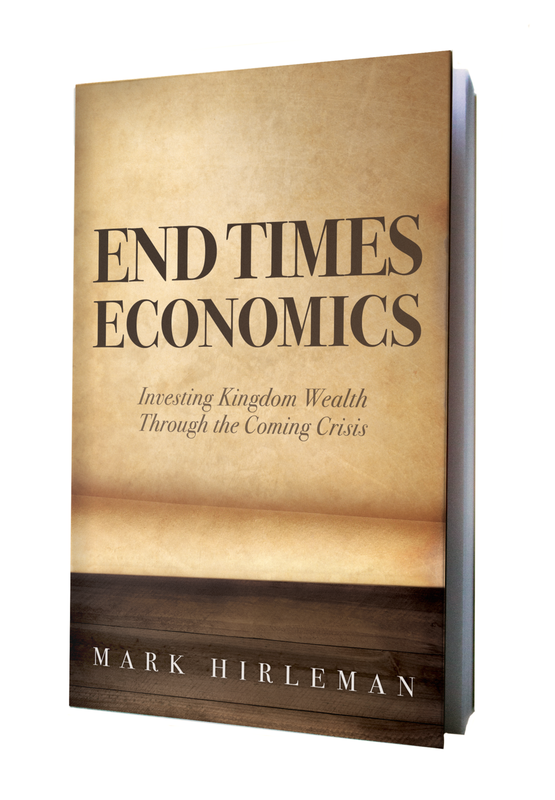 In End Times Economics, economist and investment advisor Mark Hirleman cuts through the uncertainty to provide a clear-cut explanation for what is happening in the financial realm, where it is likely headed, and ultimately unveils a practical strategy to protect your God-given wealth through the coming shaking. Now is the time to take bold action to protect and grow your Kingdom wealth. Before long, it may be too late.